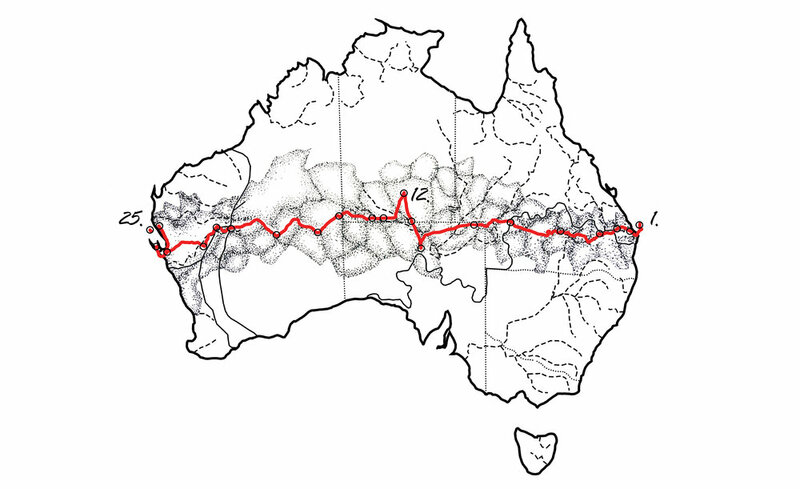 We are planning to spread out the last stretch over three days leaving Wooramel Roadhouse on Sunday the 10th and if all goes to plan we'll be arriving in Carnarvon on the 12th December to then spend the week studying the place. We still have to attempt to get over to Dorre Island too!! Bobbie's Dad and old family friend are even meeting us on the road to ride the last 20kms with us! How exciting! If you've got any friends out this way, spread the word and tell them to jump on their deadly treadlies! Thanks to all of you who have given us support over the past 10 months of The Grand Section journey. It has been profoundly formative for us and we are so grateful to have such a lovely bunch of people continually behind us, just like a good tailwind!! We couldn't have done it without you, your support and your help along the way. Hoorah to you!!! Do stay tuned though, we're still catching up on updating you of our last few stops and the things we've learnt. That'll come once we have a beer (or two)....! Don't worry we will have a beer for you too!